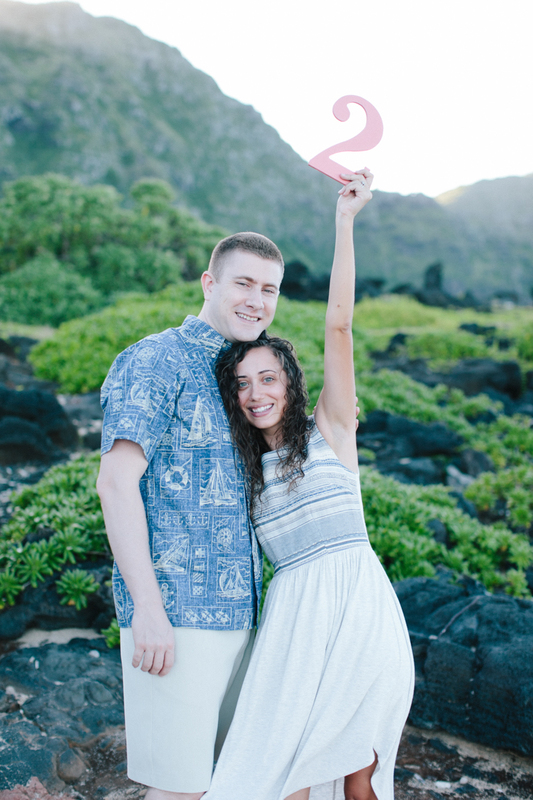 When Nick and I moved to Hawaii, I started this blog to capture our adventures. After five years of long distance and five long deployments with no communication, it was our Two Year Honeymoon. We could finally be together, and we were together in Hawaii, of all places! We spent our weekends reading on the beach, swimming in the ocean, and hiking mountains. It was paradise. And it felt like a two year honeymoon. 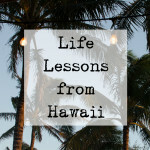 I started learning about this whole blogging thing and shared everything I learned about the best things to see and do in Hawaii. 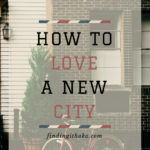 I started joining a linkup for travel bloggers and connected with some supportive and awesome bloggers. I loved every minute of it, and I am proud of what I’ve built here on The Two Year Honeymoon. But The Two Year Honeymoon is over. I thought about keeping this as my blog name, because those two years in Hawaii gave us such a solid foundation for our marriage. I feel like Nick and I are who we are because of our time in Hawaii. So I guess I could have been The Two Year Honeymoon forever. But I think it’s important to recognize when it is time to move on. 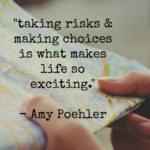 I want to push myself to take my blog in a new direction as part of my year of living fearlessly. I want to push myself to develop my voice as a writer. 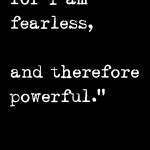 I want to push myself to not be afraid to hold back. I want to push myself to embrace change. Over the past few months, I’ve slowly started writing about more topics that are close to my heart. Topics that are a bit more vulnerable. 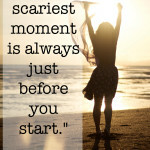 Topics that have a bit more to do with my own personal journey than with The Two Year Honeymoon. Topics that are important to me, and that I have a feeling you might want to talk about, too. As I started opening myself up to new post ideas, I felt my creativity flowing like it never did before. I decided to chase those feelings and see where they take me. I’m taking my blog in a new direction, and I’ve never been more excited to sit down with a cup of coffee and write. I’ll still be posting about my travels, books, military life, and all of the other topics I’ve always posted about, because they are so important to me and I love writing about them. But I want to try to dig deeper with these topics, and start writing about a few new topics, too. In order to officially take my blog in this new direction, I’ve decided to change my blog’s name! I am really excited about my new name because I think it captures everything I want my blog to be, my own personal journey, and how I feel about life in general. My new blog name is based on something I always seem to come back to over the years, something deeply important to me. Come back here on Friday to see my new name, see a slightly different design, and hear more about the new direction of my blog! Thanks Cait! I love having my own blog because it really does become “your own.” You’re in control of what you write, when you post, and how you frame things. It’s such an empowering hobby and I love every single second of it. Sorry to keep you hanging! I wanted to warn people so that they don’t get too confused when everything switches over, but I hope the suspense will be worth it! I’m really excited! That’s so exciting! It’s amazing how much can change in such a short amount of time! I can’t wait to see what your new name is going to be! It really does! I remember when I first made “The Two Year Honeymoon,” and I didn’t think that I would even keep blogging after we left Hawaii. But I love blogging so much and I’m really thankful I’ve stuck with it. Thanks Jenn! I’m excited and nervous but having lots of support makes me feel a lot better!! I can not wait to see what your new guise brings! First, your Hawaii blogs are amazing and very informative so thank you!! 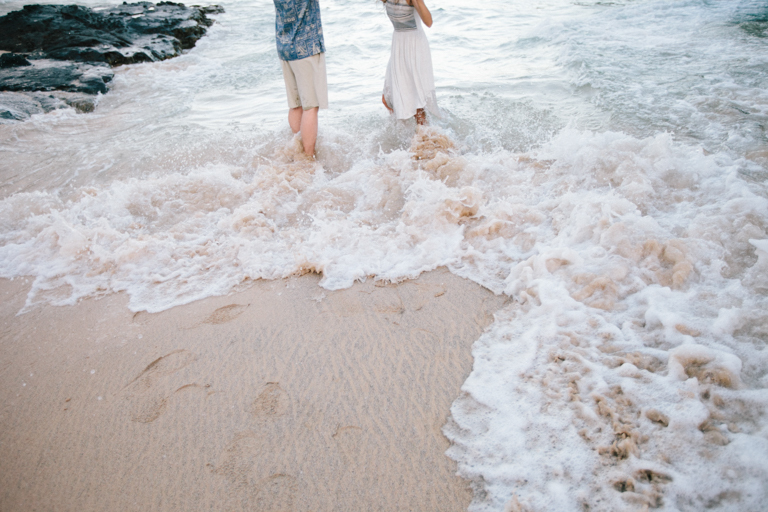 My husband and I are about to do the same and make Hawaii our 2 year honeymoon location! It is our next pcs and I’ve been trying to research as much as possible about the lovely island. Your blog has been so helpful thus far and I may have not found it, but what’s your best suggestion for housing location? I’ve heard that although Ewa beach is lovely, the traffic is horrible going to and from work-camp smith. I love the Kaneohe and Kailua views and homes, but have been considering the off post housing in pearl city. Any preferences and tips? Thank you for your time in educating everyone! !